One of the most popular areas in any Miami house is the patio! 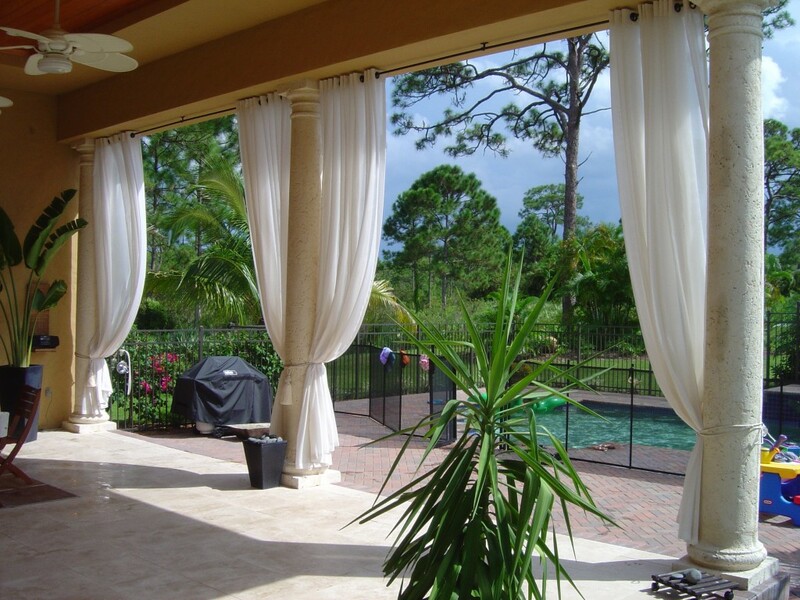 And what better way to enhance the look of your favorite area, than with some beautiful outdoor curtains! At Brown Design, we have a large selection of fabrics suitable for use in the outdoor Miami humidity. A soft curtain can bring a touch of elegance to your poolside lounge, as well as provide shade from the sun. Our team is here to guide you along to create a custom look designed by YOU!!! We also provide full upholstery service for any cushions or pillows you may need. Our installations are 100% guaranteed.